Imagine today that you could live life in such a way that there would be no shortfalls. No shortfalls emotionally, physically, financially and spiritually. Sounds like a perfect way to move through the day doesn't it? No shortfalls! Trusting in the Lord sets us up for the best possible life that we could live. When He is in control then we can be certain that the people we will meet, the conversations we will have and the places we will end up are being divinely guided or inspired. He orchestrates the steps and the stops! When we please the Lord, the Lord pleases us. Therefore, there is no lack because you have a new understanding that all things are eventually going to work out for your benefit. Everything gets mixed and mingled together into something that will be perfect for you. So what are you thinking about today? Going hungry or lacking no good thing? 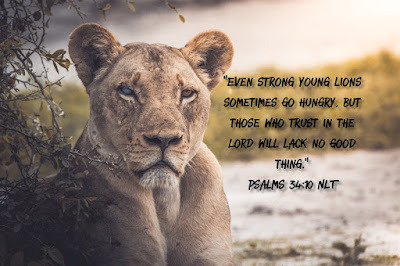 Are you staying positive and trusting God? Is so then you know that He will make a way to satisfy all of your needs. 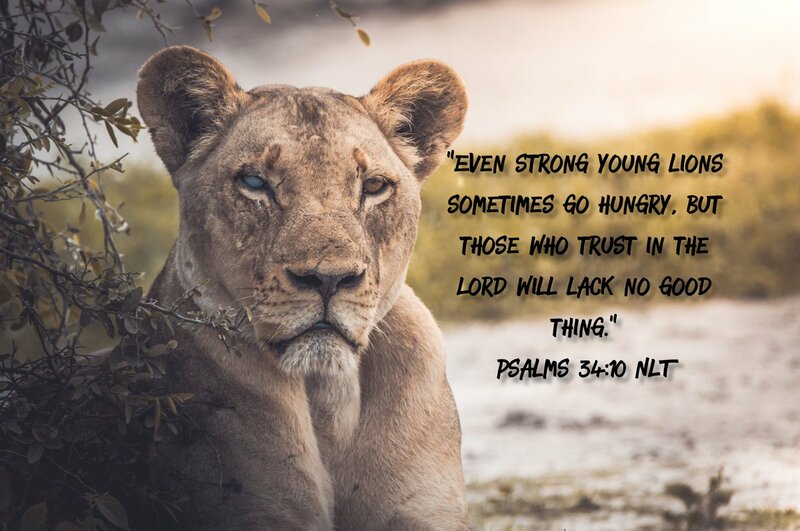 Those who trust in the Lord will lack no good thing!